In part 1 we found out that as parents we need to take a step back and really scrutinize the bigger decisions that will affect our children. Our our egos can get in the way of making the right choices. In any situation you need to take a dispassionate and critical view to fully evaluate what’s really going on. 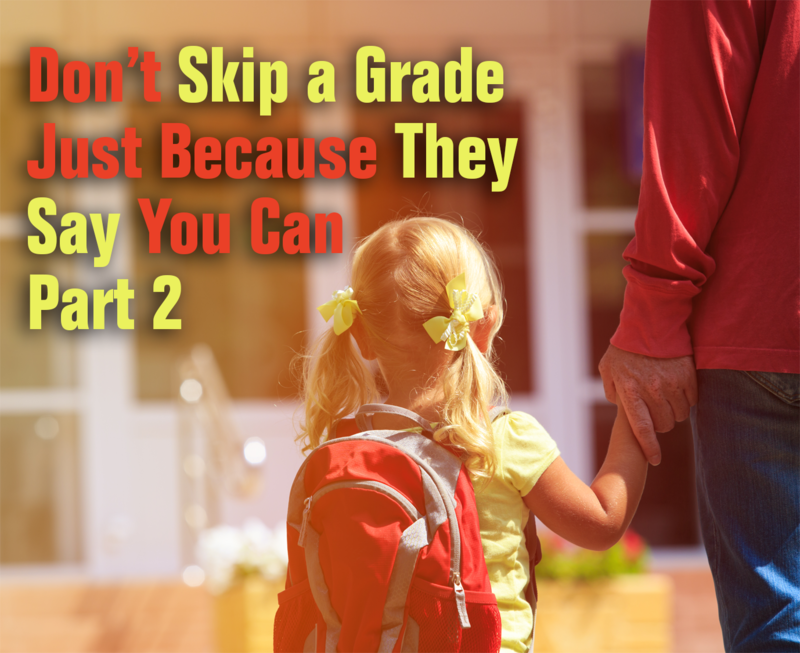 If you are considering having your child skip a grade below are some of the questions you need to consider and answer. After hearing the story of my friend’s grandson being whisked away into the 4-year-old class, I felt like a didn’t have all the pieces of the puzzle. I talked to adorable grandson’s mom and suggested that she ask the following questions. She needed to gather as much information as possible before making a decision and you need to do the same for this and any other situation that has as potential longterm impact on your child. Below are questions that I suggested be asked about this particular situation. Use them as a reference point for your own child and situation. How many children are in the 3’s and 4’s class? What is the student-to-teacher ratio in each class? Too many kids and not enough teachers can easily cause a classroom management problem. How many children in the 3-year-old class are turning 4 in the next 3 months? Are most of the classmates an older 3 like him? How many children in the 4 year old class are turning 5 in the next 3 months? If most of the kids are turning 5 in the next few months adorable grandson will be one year younger then his classmates. This is not a good situation on all levels. How does he compare in size to the other children in each classroom. Being the smallest is not an advantage. How is the child’s fine motor, gross motor and language skills in comparison with the 3-year-old classmates and 4-year-old classmates? You would never want to intentionally place a child in a classroom where he is the youngest. They will not have the same developed skill set of the rest of the class. Look into the future. How does this effect your child as a teenager and high school graduate? In this situation, the child does not make the September 1st birthday cutoff. If he would have to repeat the 4’s class for a second time next year will he be bored once again? I understood that the school had an open policy on classroom visits. As such, I suggested that the parents observe both classrooms. Answer these questions and you will have a very good description of the classroom. What is your first impression when you walk in? Look at the children; are they happy? Are children playing or working in small groups or independently? Are the activities child directed or teacher directed or a combination of both? What is the tone of the classroom? Is the children’s art displayed? How do children transition from activity to activity? Look at the toys and equipment. Are they in good condition? Are there enough things to give children choices? Are there definite and defined centers in the room? How does the teacher interact with her students? How does the teacher handle a child that is acting out? What is the boy to girl ratio in the classroom? 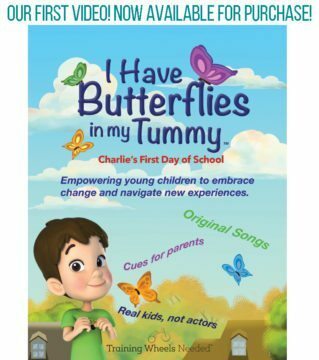 After gathering all the information you must consider what is important to you and your child. What is preschool all about? I am a firm believer in introducing kids to the fundamental education basics. However, preschool is all about learning to be part of a group, social skills and following rules. We all want our children to develop to be the best they can be, but sometimes that means staying exactly where you are and following the course. As long as you take your ego out of the decision making process you’ll make the right move every time.